Order this Iâd Like To Get A 10 Piece McNugget Rick & Morty Cartoon Szechuan Sauce McDonald Movement Funny Food Fan Gift here today! 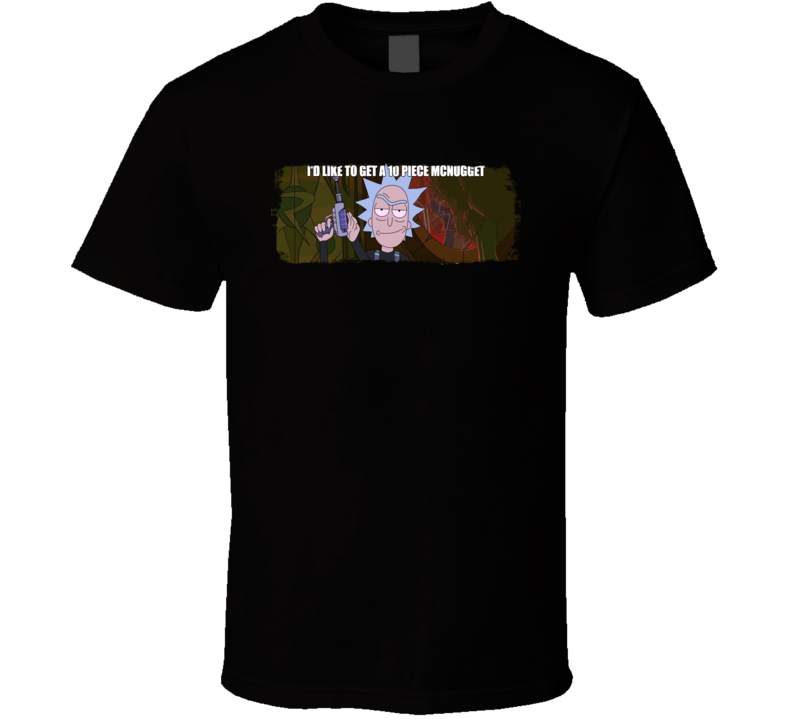 This Iâd Like To Get A 10 Piece McNugget Rick & Morty Cartoon Szechuan Sauce McDonald Movement Funny Food Fan Gift brings you quality graphics on pre-shrunk, ringspun cotton that feels great! The image is printed using the latest direct-to-garment technology.